Juventas invites all composers whose music we have performed any time in our 15-year history to submit a pair of works, illustrating your growth as a composer. 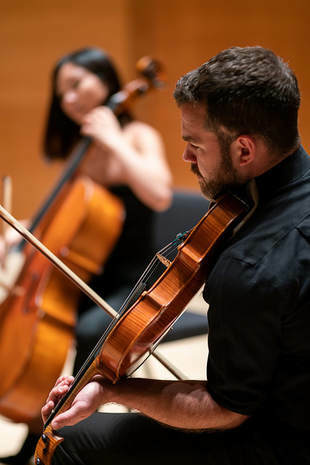 The selected pairs of works will be performed by Juventas at our concert Roots & Wings in spring 2020. The program will celebrate the evolution of composers whose music we have performed, and Juventas's impact on their careers. Additionally, one composer may be offered a 15th anniversary commission. Any composer whose music Juventas has performed. Piece #2 should be a recent work, composed at a later date than the first. It may be either a work we have performed previously, or a work we have not performed. 2. Upload your PDF scores (required) and mp3 recordings (optional) HERE. We believe that diversity of experience contributes to a broader collective perspective that will consistently lead to a more fulfilling musical and artistic experience. We are working hard to increase the diversity of our programs and encourage all races and genders to submit. The composer grants Juventas the right to audio and video record the live performance of the work, to use the recording for marketing/PR purposes, including distribution to our season subscribers and inclusion on social media. The applicant guarantees that the enclosed manuscript is their original work and sole property, and that the applicant has obtained all licenses necessary to comply with their obligations. If a piece includes text not in public domain, the composer warrants they have secured the permissions to reproduce and perform the text used. Juventas reserves the right to choose no winner if an entry of sufficient quality is not found.